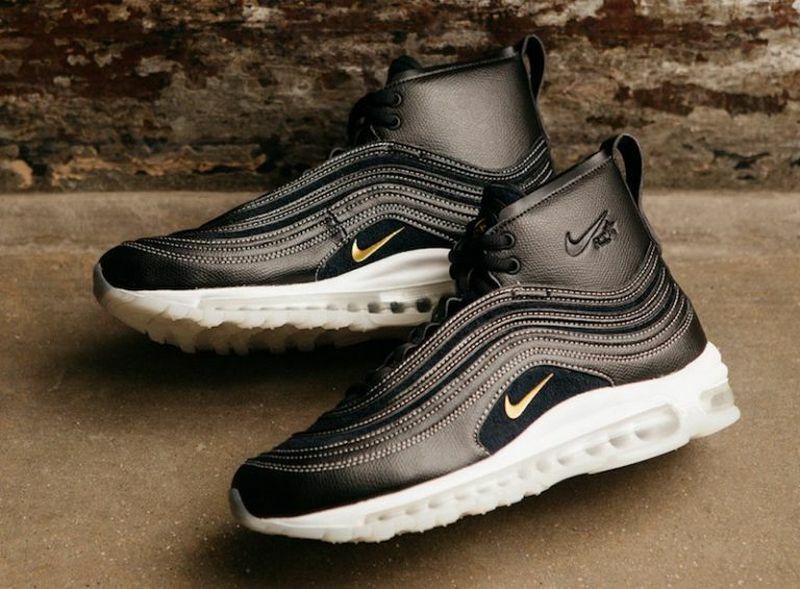 Former head of Givenchy Riccardo Tisci collaborates with Nike on a Nike Air Max 97 Mid for Air Max Day. 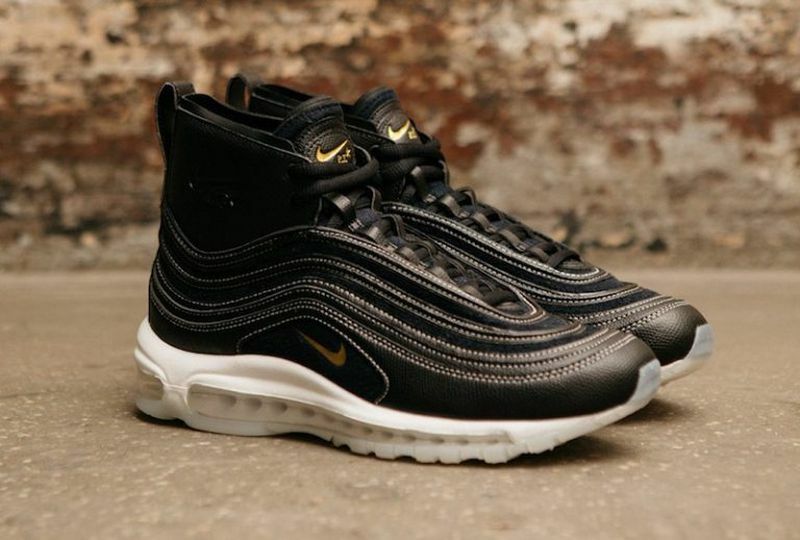 The Tisci-designed Air Max 97 mid is offered for the first time featuring a black leather upper with gold accents throughout. 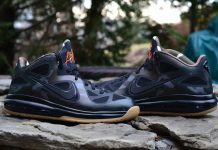 RT branding is seen alongside the swoosh, with a solid white rubber outsole slapped on the bottom. 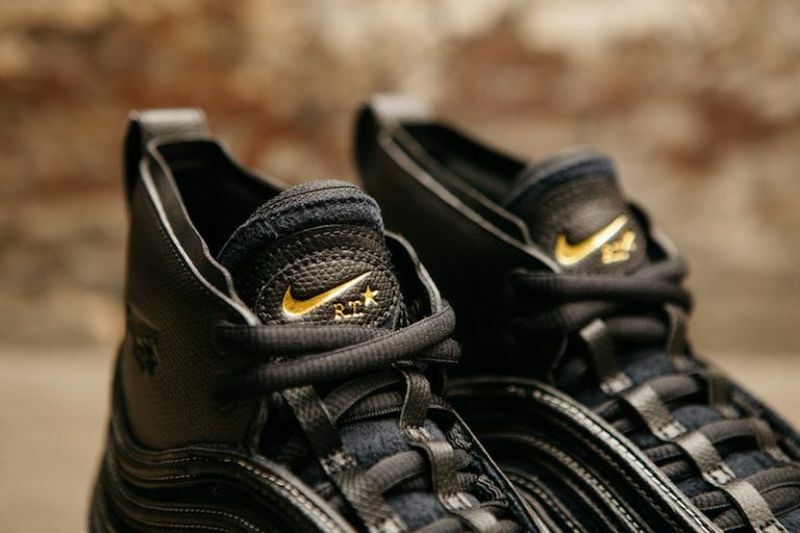 Look out for the Riccardo Tisci x NikeLab Air Max 97 Mid to release at Nike retailers in Rome on the 17th, Asia on the 24th, and March 26th for the rest of Europe. 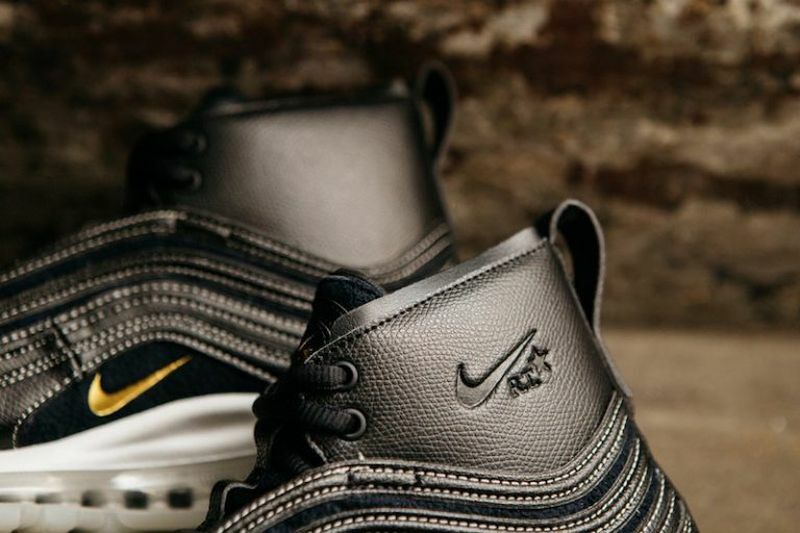 Update: Here’s an updated look at the Riccardo Tisci x NikeLab Air Max 97 Mid in full detail.